The Writeous Babe Project: Reverb11: What About Your Friends? Reverb11: What About Your Friends? My Reverb11 Prompt #20 asks: How did you build community this year? That's easy. I started a group for local female writers called See Jane Write. 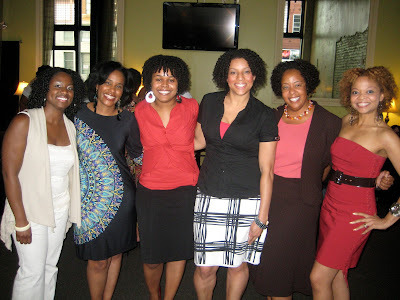 Here I am with a few lovely ladies who spoke on the See Jane Write "So You Think You Can Blog" panel. I helped a local lady by the name of Katrina Watson build a social group for women of color with natural hair called Birmingham Natural Beauties. 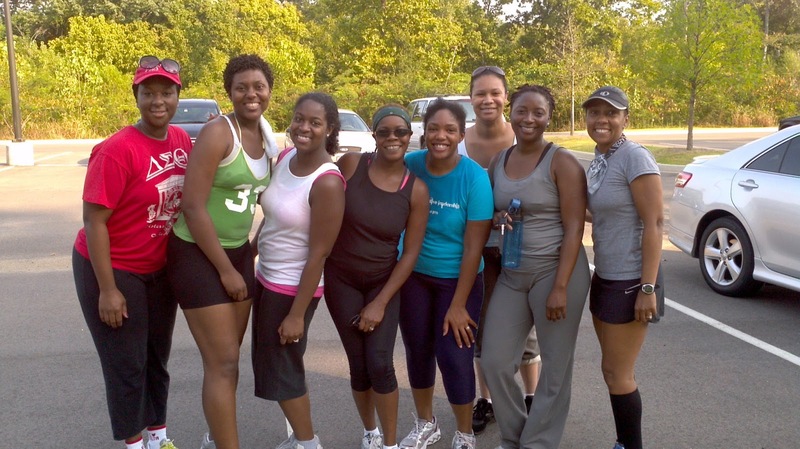 I joined Black Girls Run Birmingham, the local chapter of a natural organization that seeks to encourage women of color to run and stay fit. A few ladies of Black Girls Run Birmingham after a run this fall. 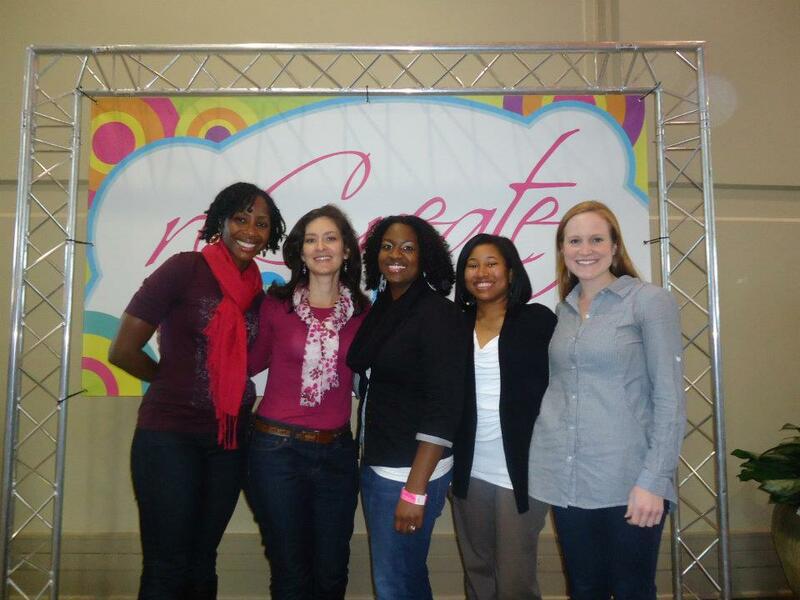 And I led a women's small group for my church. Through all these efforts to build community many new friendships blossomed (which prompt #21 asks). These groups added beauty to my life (prompt #24) and I pray that through them I added beauty to the lives of others (prompt #25). Yet despite all these efforts I must confess that as 2011 draws to a close I find myself feeling very lonely. Lately, I've even been asking God for new friends, a prayer that makes me feel like the lamest girl in the world. I hope this request doesn't make me sound ungrateful. I have plenty of wonderful women in my life I consider to be fantastic friends, such as the women I've met through the aforementioned groups. But many of my closest friends don't live in Birmingham and I’m also finding that many of my friends – those local and elsewhere – and I don’t have much in common anymore. We may have one thing that links us – such as our job or our church – but we don’t truly have similar passions or even listen to the same music. I don’t even have any local friends to talk to about Grey’s Anatomy! Prompt #22 asks: Who do you miss? That's an easy one too. I really miss my gal pal Maisy. We worked together when I was full-time journalist in Louisville. We became instant BFFs not simply because we worked together (in an office the size of my bedroom) but also because we had so much in common -- our love for writing, pop culture, fashion, Mexican food, and even Hello Kitty, just to name a few. Our husbands had a lot in common too which was another plus. These days I'm in Birmingham and she's in Boston. She's also a mom now and I'm essentially juggling two careers along with all my community involvement so we don't get to talk much. Oh, how I miss her. Making friends as an adult is so hard. As kids you could just walk up to someone on the playground ask them if they’d be your best friend and you were set. If you did that now you’d probably be reported to human resources. Furthermore, I’m at a strange stage in my life that causes making friends to be even tougher: I’m married, but childless, and, right now, plan to stay that way. So I don’t fit in with most single women because I’m completely over the party scene, but I don’t fit in with most married women either because I don’t have children. I have the liberty to go out to dinner, to the movies, to my favorite winery for a drink or to my favorite trail for a run whenever I want and I don’t have to find a babysitter first. So my lifestyle simply doesn’t mesh well with that of a young mother. In 2012 I'm hoping to attract new girlfriends who share several of my interests (prompt #23). Because I’m a journalist I'm naturally curious about most things. So I can sit and listen to someone talk about their kids or their garden for hours even though I’m not a parent and don’t have a yard. But selfishly I want a friend who will listen to me talk about running and blogging and who will get my references to The Misadventures of Awkward Black Girl. And if it's not too much to ask, I'd love for her to live in Birmingham so we can have these chats over mango margaritas, not via Skype. In closing, here's a fitting video from the greatest girl group of all time (in my humble opinion). Good stuff! You are doing amazing things, and in turn, you are an amazing woman! Proud to say I know you! Thanks, Nicole. That really means a lot to me. Oh Darhi, I miss you too. I'm so excited that I'll get to visit you next year for your big day! Charlize Theron thinks I'm "messed up"
Reverb11: Where did 2011 begin?